Paris, 30 October 2018– Eutelsat Communications (ISIN: FR0010221234 - Euronext Paris: ETL) reports revenues for the First Quarter ended 30 September 2018. Rodolphe Belmer, Chief Executive Officer, commented: “The underlying performance of the five operating verticals is globally in line with our expectations at this stage of the year, where the revenue profile is back-end loaded due to the ramp of African Broadband and the China Unicom contract in the Second Half. Core Broadcast revenues were stable, while Mobile Connectivity saw further double-digit growth. Recent months have seen the successful refinancing of our January 2019 bond, securing significant future savings in financial costs, and the disposal of our non-core interest in Eutelsat 25B. On the commercial front, we are rolling out the Konnect Africa broadband service in several countries. In video, the launch of the hybrid satellite-OTT turnkey delivery solution, Eutelsat CIRRUS, is an important step in the integration of satellite into the IP ecosystem, generating long-term additional revenue opportunities. Elsewhere, we are participating with the other major satellite operators in the C-Band Alliance consortium, designed to facilitate the clearing of U.S. mid-band spectrum for 5G. The successful issue of an €800 million 2.0 percent Eurobond with a 7-year maturity enabling the full redemption of the outstanding bonds bearing a 5.0 per cent coupon maturing in January 2019. This transaction will further reduce pre-tax cash interest by some €24 million on an annualized basis from FY 2019-20, while also extending the debt maturity profile. 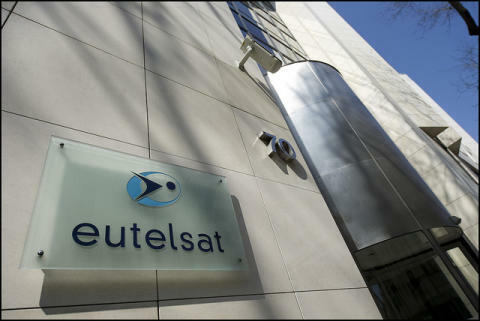 The disposal of its interest in a non-core asset, EUTELSAT 25B, to its co-owner, Es’hailSat, for a cash consideration of €135 million. And the signature of a long-term service agreement with Arianespace covering five launches until 2027, providing cost-effective, assured access to space with schedule flexibility. The launch of Eutelsat CIRRUS, a hybrid satellite-OTT turnkey delivery solution which will enable broadcasters to offer a flexible, seamless content experience across multiple screens, and representing a further step in the integration of satellite into the IP ecosystems. Eutelsat CIRRUS will allow enhancing end-viewer experience and generating additional revenue opportunities. The entry into service of the capacity leased on the Al-Yah 3 satellite enabling the progressive commercial launch of the Konnect Africa broadband service in several countries. Elsewhere, Eutelsat participated, together with other major satellite operators, in the creation of the C-Band Alliance, a consortium designed to facilitate the clearing of U.S. mid-band spectrum for 5G, while protecting content distribution and data networks. The outcome of the Fall renewal round with the US Department of Defence was unexpectedly low, at 70%. 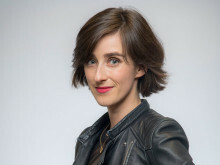 It stems mainly the loss of a single large contract with a specific distributor, and is not reflective of the underlying trend in this vertical. However it represents a meaningful headwind to our overall revenue profile for the current year, and in consequence we are adjusting our objective from ‘slight growth’ to ‘broadly stable’. All other elements of the outlook, including EBITDA margin and discretionary free-cash-flow, for the current and subsequent years are confirmed. Proforma revenues reflecting the disposal of EUTELSAT 25B and the impact of IFRS 15. Please refer to the appendix for more detail. At constant currency, perimeter and accounting standards. The variation is calculated as follows: i) Q1 2018-19 USD revenues are converted at Q1 2017-18 rates; ii) Q1 2017-18 revenues are restated from the disposal of Eutelsat’s interest in Eutelsat 25B and from the impact of IFRS 15 standards; iii) Q1 2018-19 revenues are restated from the net contribution of Noorsat. Other revenues include mainly compensation paid on the settlement of business-related litigations, the impact of EUR/USD currency hedging, the provision of various services or consulting/engineering fees and termination fees.